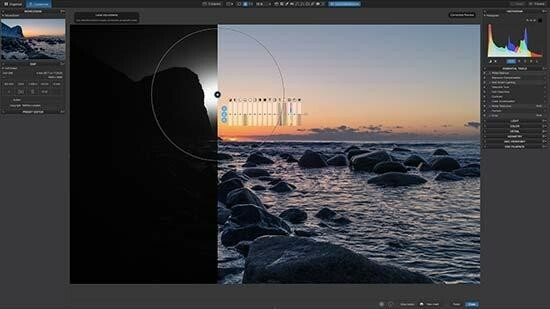 PARIS - June 6, 2018 - DxO, one of the world’s most innovative consumer imaging companies, today announced the immediate availability of the Nik Collection 2018 by DxO, an updated suite of Adobe Lightroom and Photoshop plugins for photographers and creative professionals. Eagerly awaited by the user community, this “by DxO” update marks the return to the market of the Nik Collection with the first stable version and with customer support. Also available today, DxO PhotoLab 1.2, an update of DxO’s acclaimed RAW and JPEG image processing software, adds new local correction features and adds support for seven additional cameras. This entry was posted in DxO and tagged Nik Collection, Nik Collection 2018 by DxO, Nik Software. Bookmark the permalink. Trackbacks are closed, but you can post a comment.